SIXTEEN stages and lot locations are currently available at Toei Studios Kyoto for a wide range of visual projects including films, TV dramas, commercials, and promotional videos. A stage with permanent historical sets, and a soil floor which allows the making of ponds and/or a moat, are a few of the unique features at Toei Studios Kyoto, which has a long history of historical drama production. 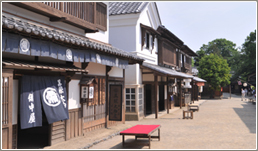 These are Back Lot locations for use during actual jidaigeki filming. 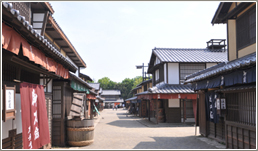 Toei Studios Kyoto's back lot is open to public as a Toei Kyoto Studio Park's filming facility.